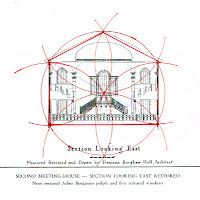 The Old First Church in Bennington, Vermont, was designed using the geometry of circles. This is a simple introduction. 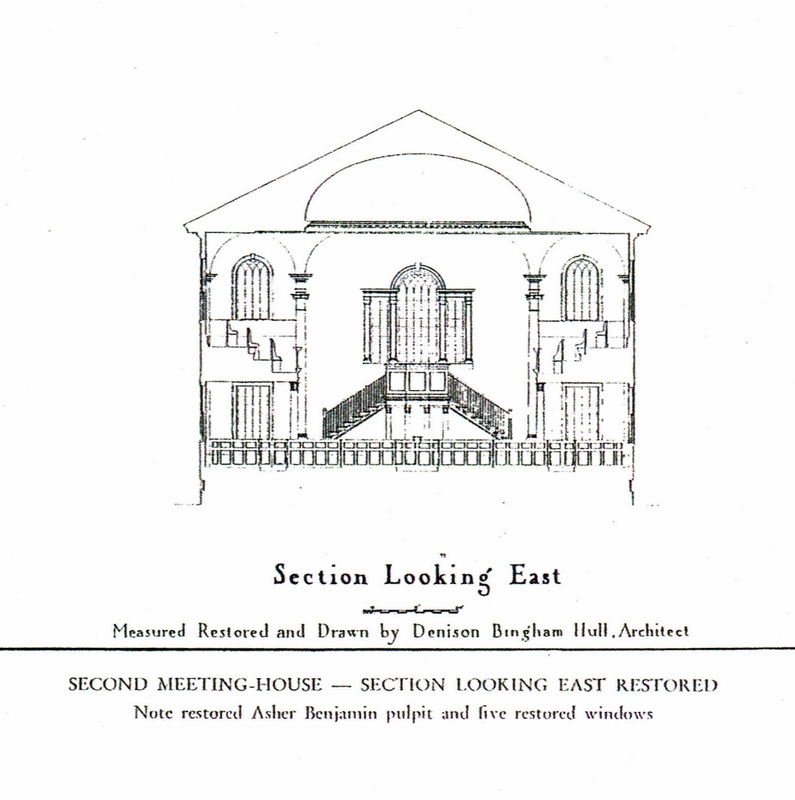 Here is the cross section (interior view facing east) of the church. 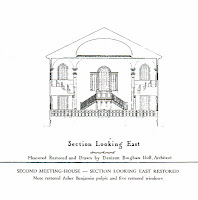 Measured drawings of the church were done in the 1930's by Denison Bingham Hull, the architect who oversaw the renovation of the church removing the Victorian overlay which obscured its original form. He, the minister, Vincent Ravi Booth, and the workmen worked closely together to restore and rebuild the interior. 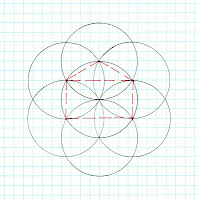 Here is the circle with its six overlapping circles with the 'daisy wheel' and the box and roof of a building frame set within the daisy wheel outlined in red. This pattern has been documented on enough different buildings that I think it can be considered a commonly known layout. Here is the Old First Church Section set within the daisy wheel. The center of the circle is the Bible. Not the pulpit or the minister. 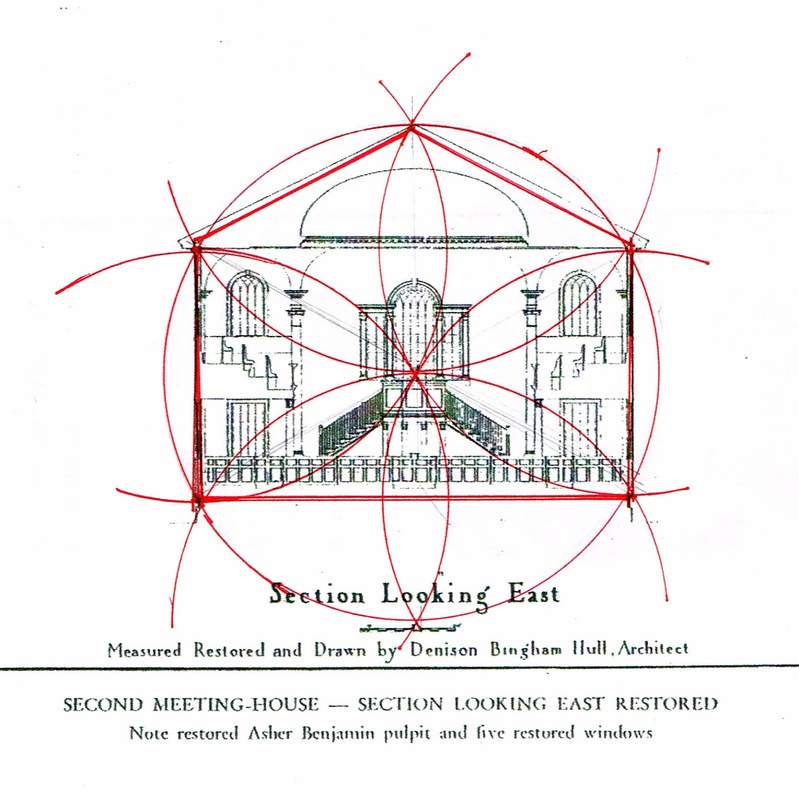 a visual note, indicating how he used geometry to design the structure. As I explore the designing of the Old First Church I wondered if the pattern in the fan light over the main door was not also a guide to the design of the church. 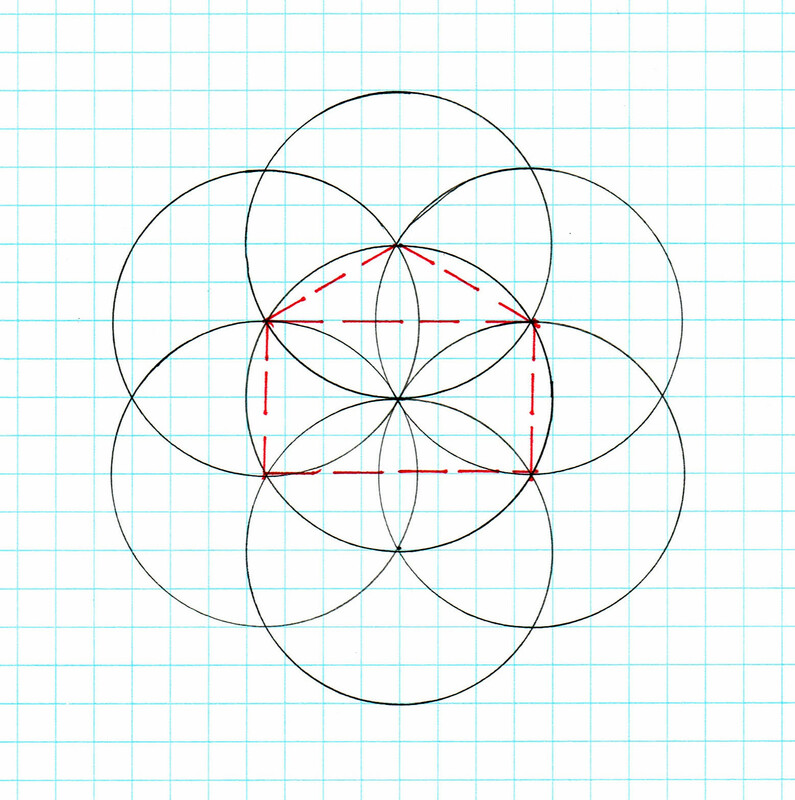 I explored the geometry of the fanlight in this post.